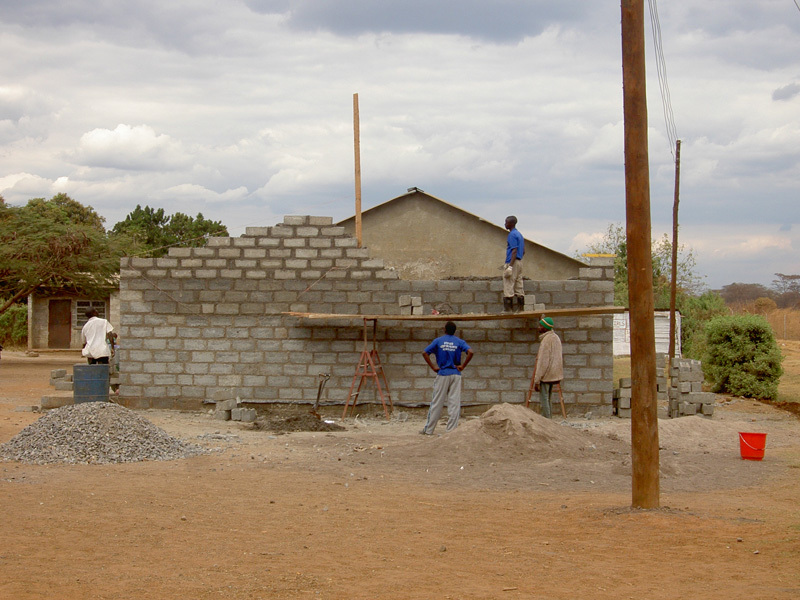 When 15 youth from the USA and Switzerland traveled to Zambia during 2008 in order to construct an additional classroom for the Mackenzie Community School, funding ran out prematurely. As a result, the roof for the new 5th grade classroom had to be left behind unfinished. But now – finally – the necessary funds were raised. Shortly before July we started with the necessary planning and implementation of this last step. All the volunteers from the Mackenzie Community, who had already helped with the first part of this project one year earlier, were overjoyed and excited to finally bring everything to a good and successful end.